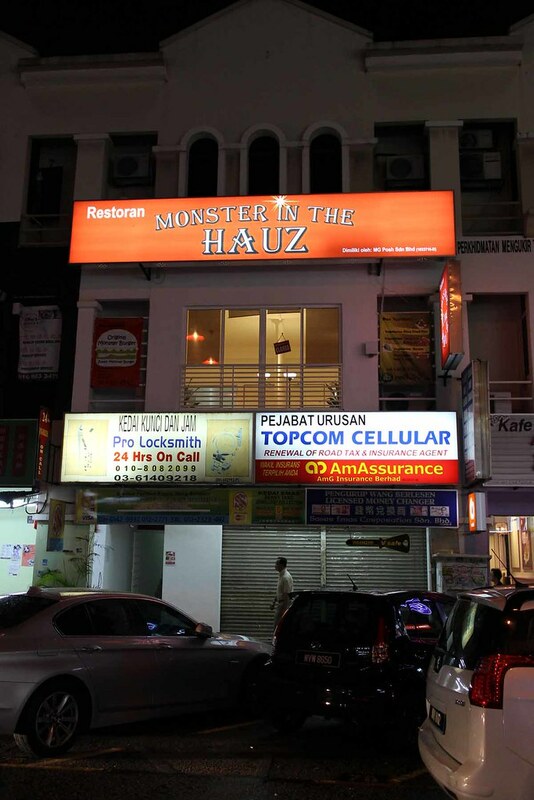 Opened just in April this year, Monster In The Hauz aims at providing homey flavours to diners in a homey, relax environment. Located above Topcom Cellular, this shop is not hard to be located, but can be easily missed out. 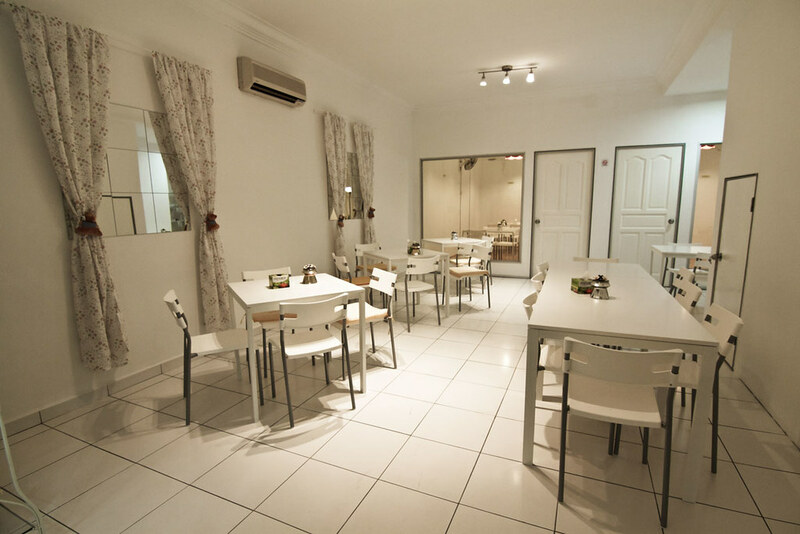 Just look around for Ikuzo Ramen, Partea time, and Denise Red Wine, you are almost there. A very homey spaghetti. No fancy ingredients, just natural fresh tomato slow cooked for five hours, extracting all the flavours and essence from tomato to make a good tomato puree that is light, and not too sour. 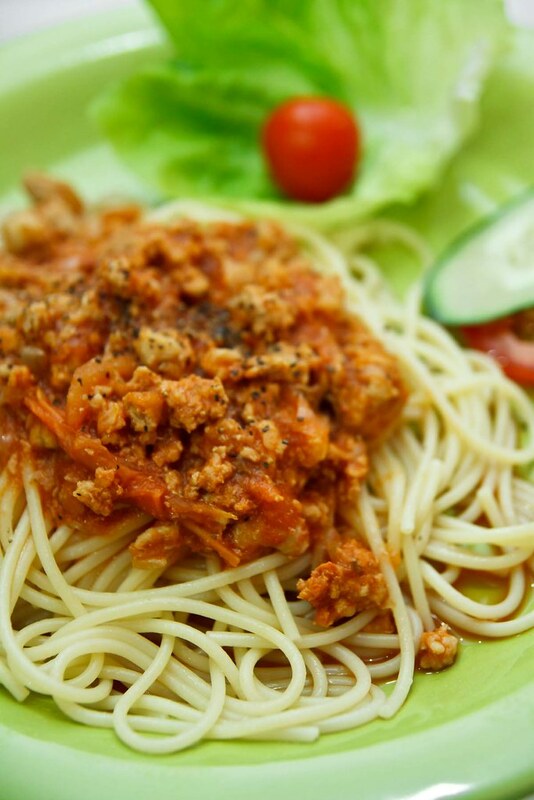 Saute with ground pork and topped over spaghetti, tastes Simple at its best. 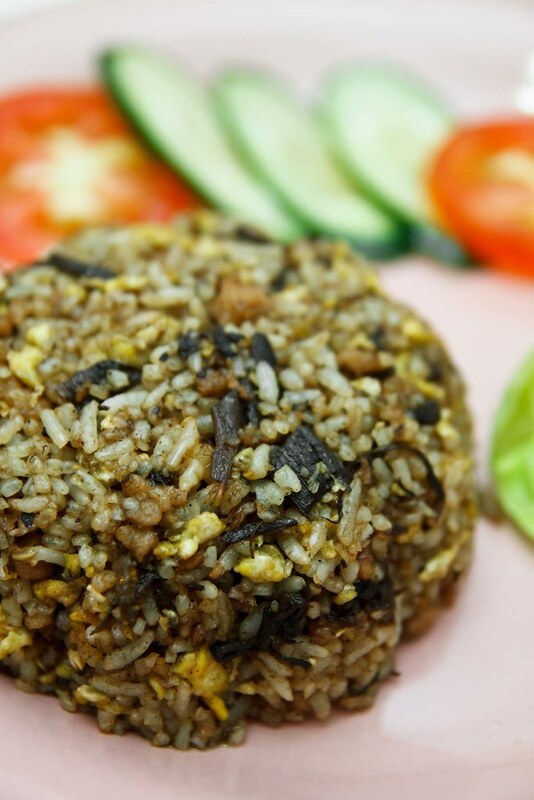 The first couple of bites gives us a delusion that we are having Preserved Vegetable Fried Rice (Mui choy Chao Fan), and yet we are wrong. The dark purple chunks are actually pickled olives vegetable (橄欖菜), not mui choy, not seaweed. A recommended dish here, as it is so yummy from the interplay of black olives complex flavours, as well as the fatty pork bits. Monster in The Hauz made their patty in house. Thick, flavourful with juiciness sealed within, the pork patty was good, and we personally feel that it will taste better if it had a chewier texture. 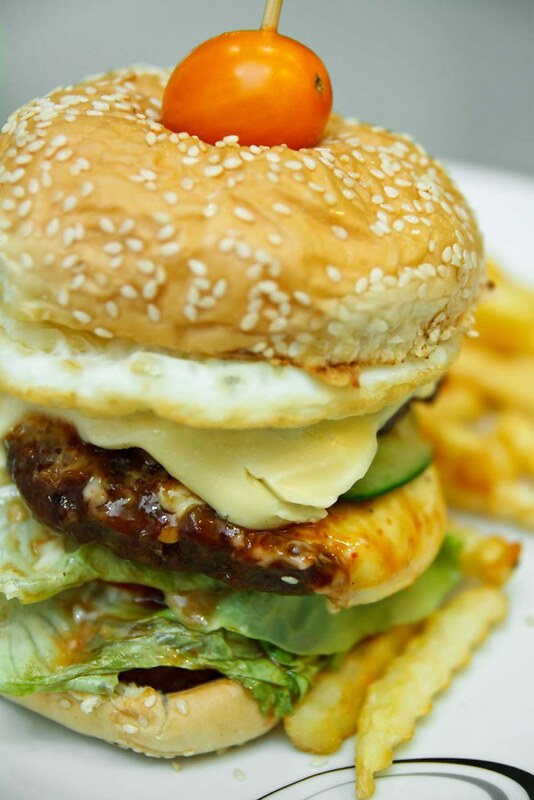 A giant burger consisting three pork patties, egg, cheddar cheese and vegetables, huge, meaty and sloopy enough to give you full satisfaction. Other than original flavour, they also offer black pepper pork burger. 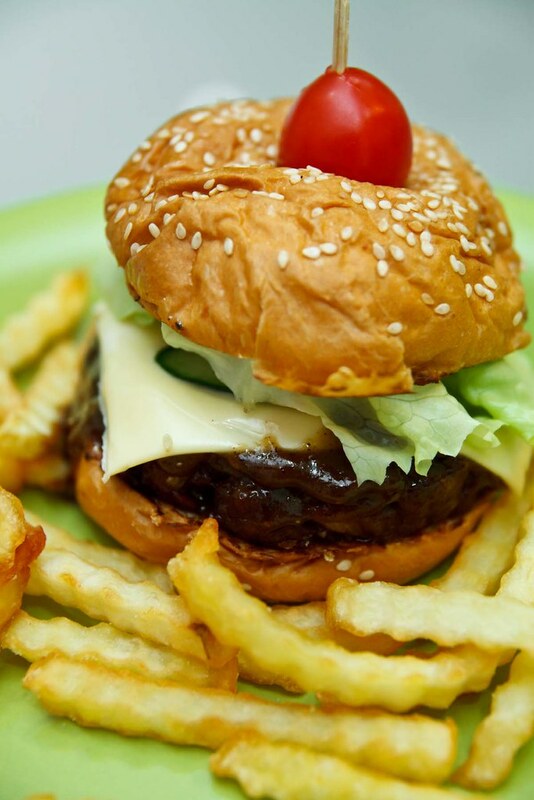 It consists of thick and juicy pork patty, smothered with black pepper sauce, sandwich together with chedar cheese and sesame bun. With such a addictive peppery spicy kick, we don’t mind eating more and add another inch to our waistline. We were told that they will have more flavours coming up, the soonest will be herbs flavour pork patty, so stay along with their Facebook to check out the latest dish! 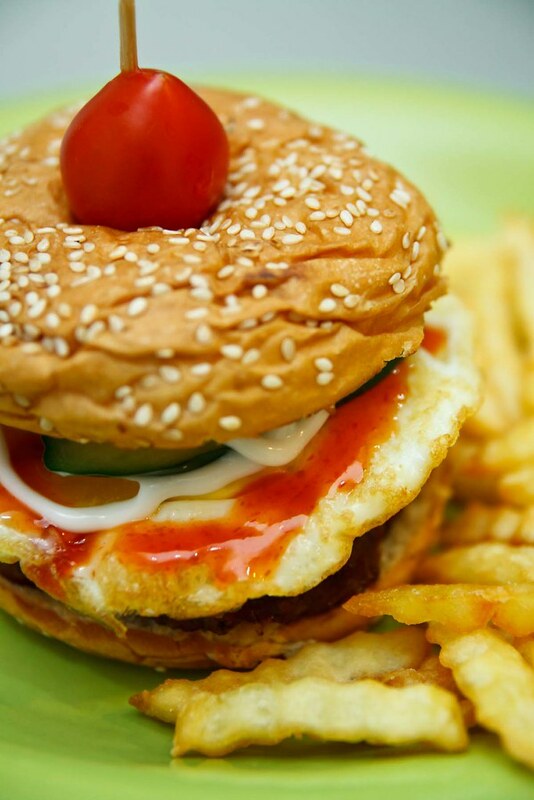 RM 9.90 for a burger is cheap!